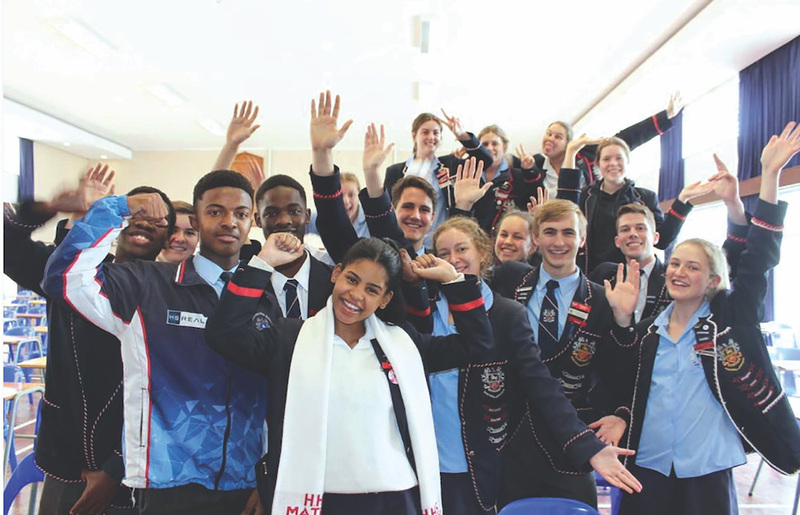 The only school in KZN to be nominated as a Microsoft Showcase School, HHS invests in Honour – developing character and leadership – and Hard work academically, culturally and in sport, in order to Serve and influence our community positively. With an outstanding 99,49% matric pass rate in 2018, including 80,41% Bachelor passes and 211 distinctions – two students achieved nine distinctions, no less than five students achieved seven distinctions, and six students achieved six distinctions each – HHS’s Dux for 2018, Laurie Aucamp, achieved nine distinctions and was placed in the top 10 in the province. “Our 2018 matrics have done themselves, their teachers and their families proud. Particular thanks go to the staff and their parents for nurturing and guiding these students to do their best and to embrace our motto ‘If it is to be, it is up to me’. We hope they will continue to adopt this philosophy as they pursue their future goals, and we extend to them very best wishes as they do so,” says Headmaster Mr Craig Girvin. Past students are a testament to HHS setting a good foundation, preparing students for life beyond school. Amy Booth has just completed her medical studies at UCT and emerged as 2018’s top student, achieving no less than nine awards – including the Gold Medal Award. Along with their achievements in their high performance sports (rugby, swimming, netball, cricket and girls and boys hockey), HHS is also extremely proud of their students’ achievements in the school’s many other extra-mural offerings – such as chess, softball and debating. With this year’s school theme, Make YOUR Mark, tying in with the country’s election year, HHS wishes all members of the school community a happy and successful start to the year. *OPEN DAY: Wednesday, 13 February, 2019. Hope to see you there!